Did you know that Glock isn't the only company to make polymer framed handguns? Yeah I know, its crazy but others make them too! One of the first to get into the game besides Glock was in fact Carl Walther back in the mid 1990s with their P99. Since then, the product line has continued to grow and expand. From the PPQ to the PPS and PPX, there are many modern Walthers on the market today; and the old P99 is still hanging in there too. This thread looks at all the modern centerfire Walthers. Sorry, not putting in the rimfires at this time, and only talking about pistols actually made in Germany. So no PK380 this go-round. Of course you guys are free to post about them or anything else you feel like. Please contribute what you know and your own experiences. I am hoping to give accurate and useful first-hand information here, so lets get started! The lack of sales of the P88 and P88 Compact put Walther on shakey financial footing, which allowed Umarex to pickup a controlling share in the company's stocks in 1993. With the old family gone and new ownership, Walther was setup to try something new. In 1994, Horst Wesp formerly of the Austrian company of Glock, was brought in to work on the next generation of military and police handguns. In 1996, Walther introduced the P99. The new pistol unsurprisingly had a polymer frame, but even the first version was much more ergonomic than a Glock. The P99 was the first pistol to feature interchangeable backstraps so it could be customized to fit different sized hands. It also featured a traditional style DA/SA trigger with decocker, even though it was a striker, not hammer, fired weapon. Sights were adjustable too. The rear sight could be moved for windage with a tool and the front sight was replaceable with different height posts for elevation. The P99 came and still comes with 3 different height front sight blades for this purpose. The magazine release was and still is HK style with ambidextrous levers at the base of the trigger guard. All P99 magazines have always been made of metal with earlier ones holding 16 rounds of 9mm and newer ones, 15 rounds with an improved follower. The P99 is 7.1" long with a 4.0" barrel, and weighs 22oz. Other features included loaded chamber and cocked indicators, lanyard attachment point, external slide release lever on the left side, and a proprietary accessory rail under the barrel. It was initially launched for the 9x19mm Para/NATO round. After the new pistol prooved successful, Walther in Ulm Germany ended all metal-framed pistol production in 1999. The P99 family quickly grew. It was soon offered in the then new .40 S&W caliber, with a 12 round magazine and 4.2" barrel. In 1999, a double action only version was released, targetting police and security firms. In 2000, a Quick Action version was released with a Glock style partially cocked striker for consistant trigger pull. In 2004, the P99 was updated with several changes including: extended magazine release levers, optional ambidextrous slide release levers, reshaped trigger guard, larger slide serrations, slightly reshaped slide, standard weaver rail in place of the proprietary one, and improved magazines. This new version became known as the P99 Gen 2. Also over the years, Walther has offered several special versions. The MI-6 was a James Bond edition released in the late 1990s. The Millenium Edition was released to celebrate the year 2000. The P99 Military had a green frame and either black or silver slide. More recently, about 5 years ago; a P99AS Gen 2 variant was imported into the USA with ambidextrous slide release lever and metal Walther brand night sights. The release lever would later become a standard feature on the PPQ series, and the night sights would be offered on both the PPS and PPQ First Edition. 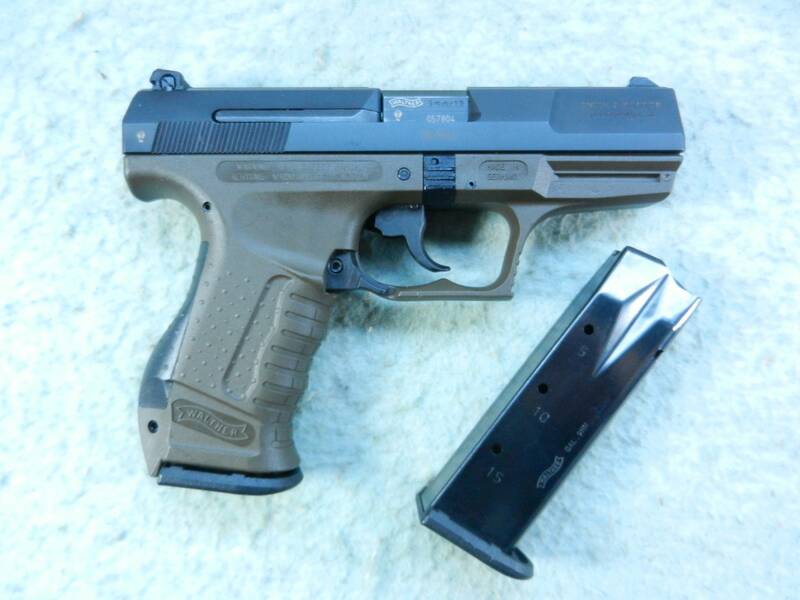 In 2005, a compact version was released simply known as the P99c. It has a 3.5" barrel and is 4 oz lighter than the fullsize. It has a shorter grip and a 10 round magazine in 9mm and 8 in .40 caliber. It ships with 1 flush fit and 1 finger rest magazine. The P99 Gen 2 is offered with 3 different trigger types: Anti-Stress (AS) which is a DA/SA trigger with large decocker, Quick-Action (QA) which is a Glock style with small decocker, and Double-Action Only (DAO) without decocker. The older Gen 1 series was offered with similar options: P99 (Standard) with DA/SA trigger and larger decocker, QA which remained the same with the Gen 2, and P990 which is basically the same as DAO. It might seem a bit confusing, but it really is not and does allow the P99 to be customized for its intended roll. Just to compare, the P99AS is roughly the same size as the Glock G19. The P99c has the same barrel length as the Glock G26, but the P99c is a bit lighter, while the G26 is a bit shorter. 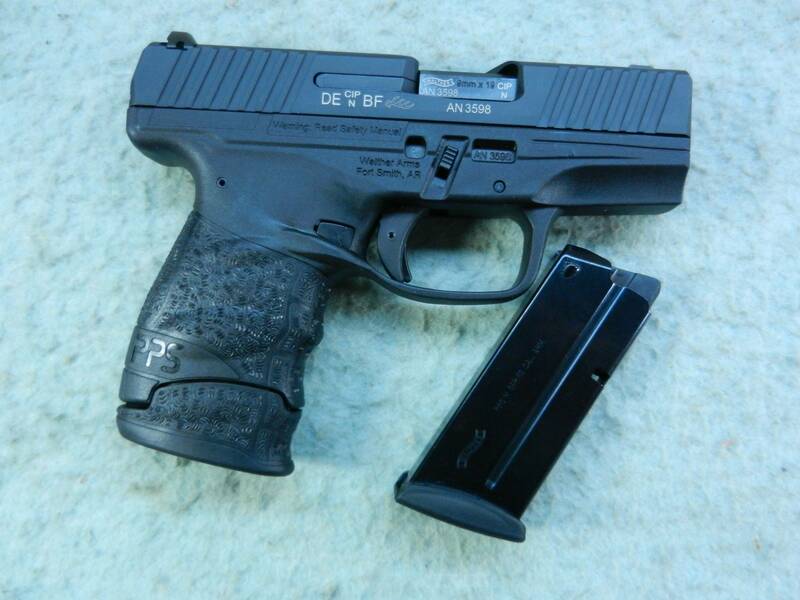 The German Rhineland-Palatinate police were among the first to adopt the P99. Bremen, Hamburg and Schleswig-Holstein have all gone with the P99QA model, while Nordrhein-Westfalen has selected the P99DAO. The P99 has been given the designation of P9 in German police service. The German Army has also expressed interest in the design and selected units have been issued the P99 standard. The pistol has also been successful outside of Germany. In Finland it has been adopted into military service as the Pist-2003 and is seeing use with special forces and military police units. In Canada, the Montreal Police carry the new Walther. In the USA, several police departments have authorized the pistol for duety carry, though none have purchased it themselves for their officers. It has seen a great deal of acceptence in Poland by both the military and various police departments. In fact, several variants are produced under license at the Fabryka Broni Radom ffacility. There is strong support to make the P99Rad, a version designed especially for the Polish army, to be that military's next standard issue sidearm. As for commercial sales in the USA, Interarms was the initial importer, and S&W took over the duety in 1999. It was responsible for distribution and sales, though its advertising was rather limited. All 9mm P99s have always been 100% manufactured and tested in Germany. Around 2000, when Walther could not keep up with demand, some .40 caliber barrels and slides were made by S&W though. In return, Walther manufactured frames for S&W's SW99 series. In the USA, P99s are known for accuracy, reliability with different kinds of ammunition, adaptability, and good ergonomics. Only time can tell just how successful the P99 will be, but it has made it 20 years so it has already outlived both the P5 and P88. While it has mostly been replaced in America with newer designs such as the PPQ and PPX, it is still very popular in Europe. The P99 is currently in production and small numbers are imported each year by Walther-USA, which took over importation dueties in 2013. 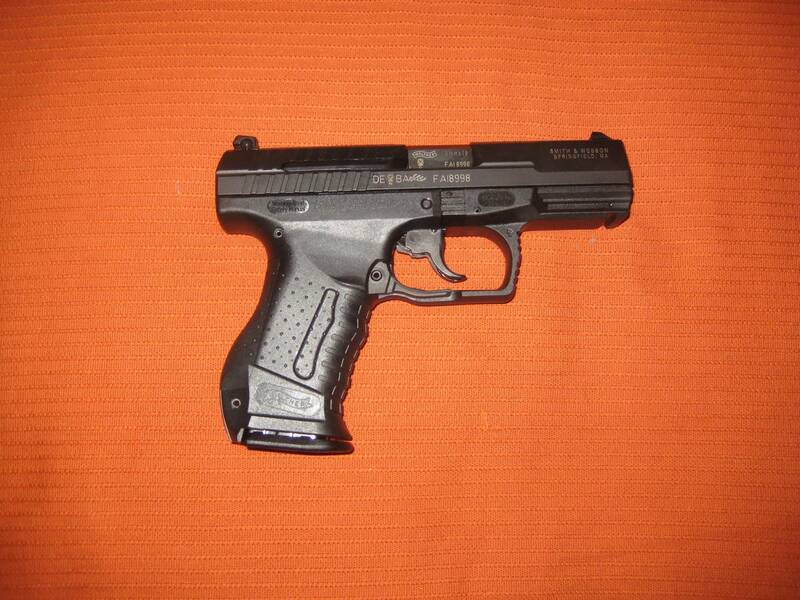 In 2007, Walther released a new subcompact polymer framed pistol; the Polizeipistole Schmal or PPS. The PPS has been marketed as the replacement for the popular PPK. It is of a comparable size, but fires a full power cartridge, rather than 7.65mm or some other small caliber. 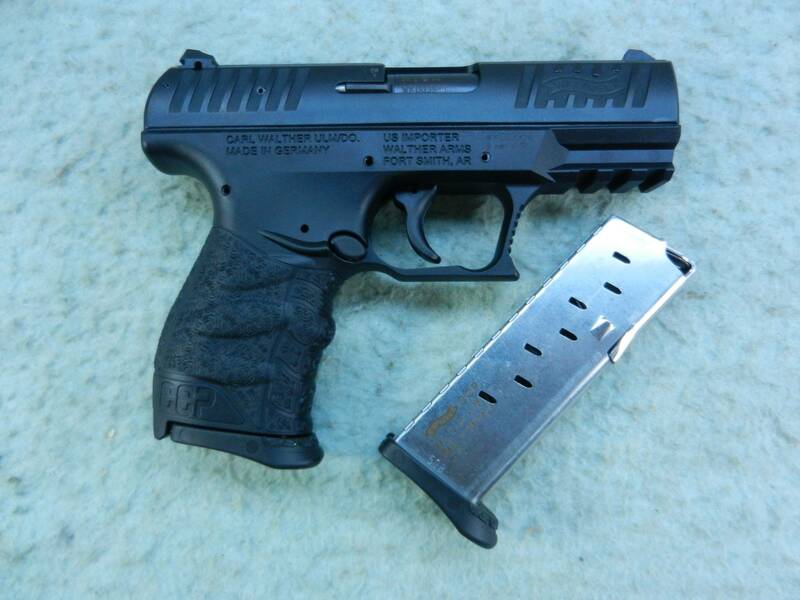 The PPS measures 6.3" long, has a 3.2" barrel, and weighs 18 oz. Its grip can be made different lengths by using one of 3 different capacity magazines. The 8 round magazine allows for a fullsized grip and standard single stack capacity. The 7 round magazine gives the shooter a compact grip with pinky rest, and the 6 round magazine gives a subcompact flush-fit size. The PPS uses a Glock style partially cocked striker, like the P99QA but without decocker and with a trigger safety. Sights are 3 dot low-profile and made of metal. The pistol also features what Walther calls 'Quick Safe.' Basically removing the backstrap renders the gun safe and the strap can be removed without any kind of tool. It comes with both a small and large backstrap. The PPS is known for accuracy and low felt recoil for a gun of its size. Today it is manufactured in both Germany and Poland. No police departments issue the pistol as a standard sidearm, but it is popular with both law enforcement and civilians as a concealed backup piece. It could be argued that the PPS is the highest quality, single-stack, full caliber, subcompact pistol on the market today. In fact, it was really the first in its class and spawned a whole range of other slim compact full-caliber guns. These include the Ruger LC9, S&W M&P Shield, Beretta Nano, and the Glock G43. At the end of 2015, Walther redesigned the pistol; giving it the designation of PPS-M2. The M2 is basically the same gun but with a major facelift. The frame has a new style of ergonomic grip with soft checkering and the accessory rail under the barrel was removed to make it more streamlined. The removable backstrap was deleted, along with the quick-safe feature which worried many. The striker was reworked to give a lighter/smoother feeling trigger, and the trigger guard was made more rounded. The most noticible change however has to do with the magazine release. The paddle lever has been replaced with a Browning type button located behind the trigger guard. The M2's slide was slightly reshaped, making it more rounded and snag free. It received serrations in the front and the striker tail was extended to allow it to serve as a better cocked indicator. Finally, the recoil spring was lightened slightly, to allow the slide to be retracted more easily. As with the original PPS, the PPS-M2 is available in either 9mm or .40 S&W. It has only recently been released, so there are few reviews online thus far. And if you still prefer the original, Walther is keeping it in production as the PPS Classic. 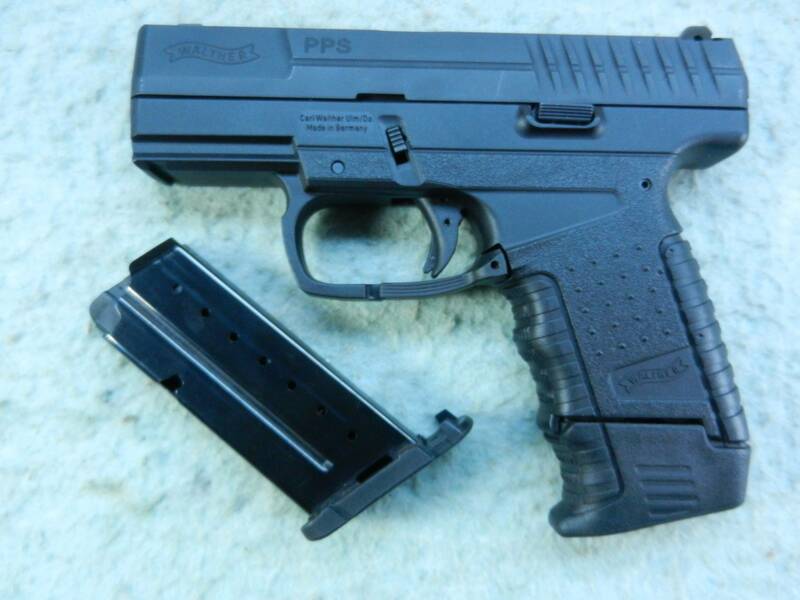 The PPQ was released in 2011. It is basically a rebranded P99Rad with an improved QA trigger. The original Rad was developed for the Polish military per their specifications. It has both front and rear slide serrations, a true Picatinny spec. rail with 3 slots under the barrel, extended magazine release levers, ambidextrous slide release levers, and a redesigned more ergonomic grip. 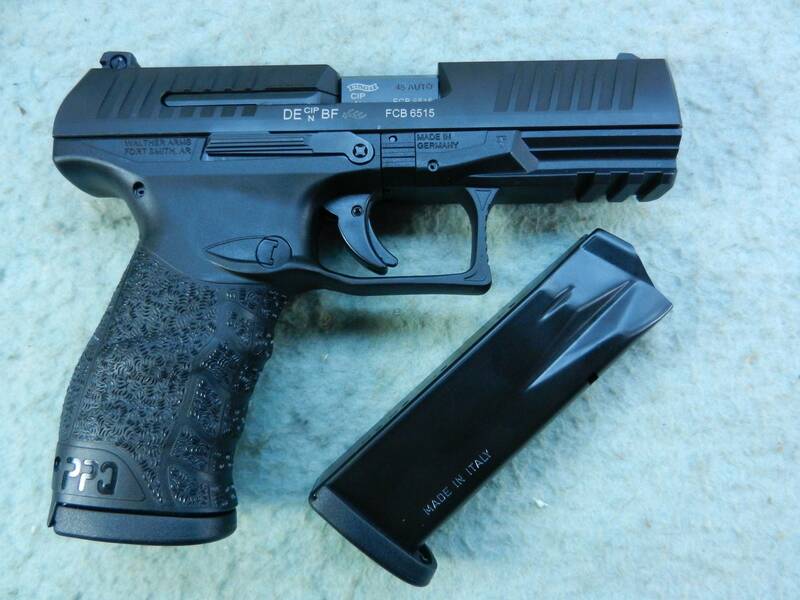 The PPQ takes all of these features and introduces a new style of trigger; the Quick Defense. Originally the Rad came in only QA and DAO. The Quick Defense trigger is like the QA but witha 100% precocked striker. It has a short 0.1" reset travel and a 5.5 lb pull weight. 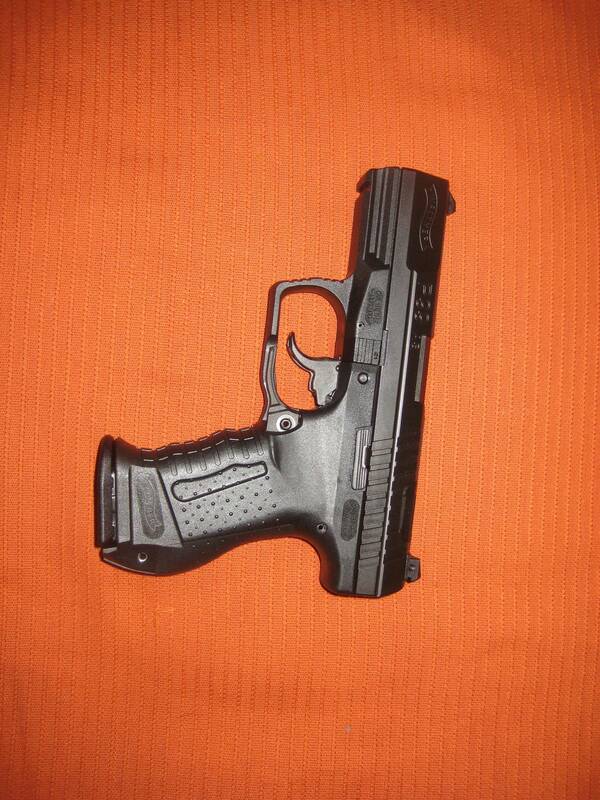 It also has a Glock style trigger bar safety, as does the PPS. The PPQ has interchangeable backstraps and uses P99 Gen 2 15 round magazines, but does not have a decocker or cocked indicator. 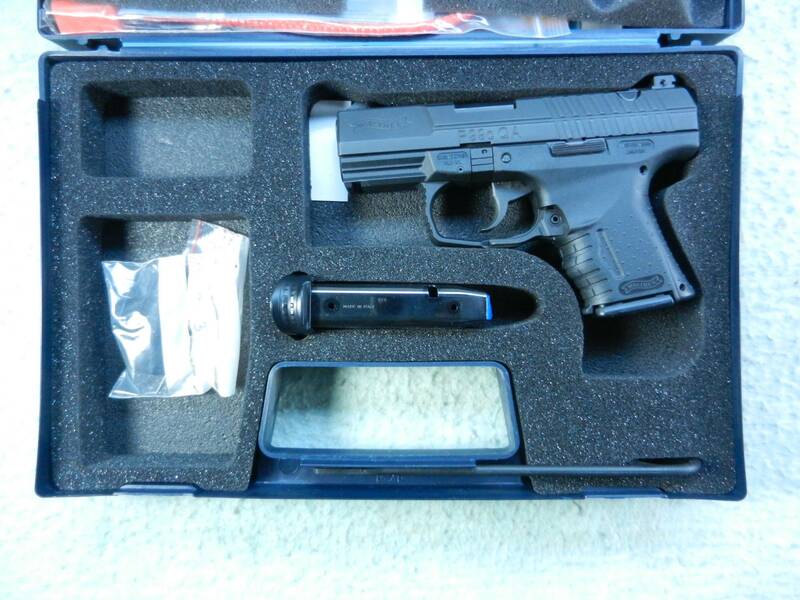 It has the same dimensions and specifications as the P99. It is available in both 9mm and .40 S&W. In the USA, it has been quite successful for Walther and has gained considerable attention and praise. A version with an extended 4.6" threaded barrel installed from the factory was sold under the 'First Edition' designation. It also featured night sights and an extended capacity 17 round magazine. It came in a special hard case, with extra room for tools and a suppressor. 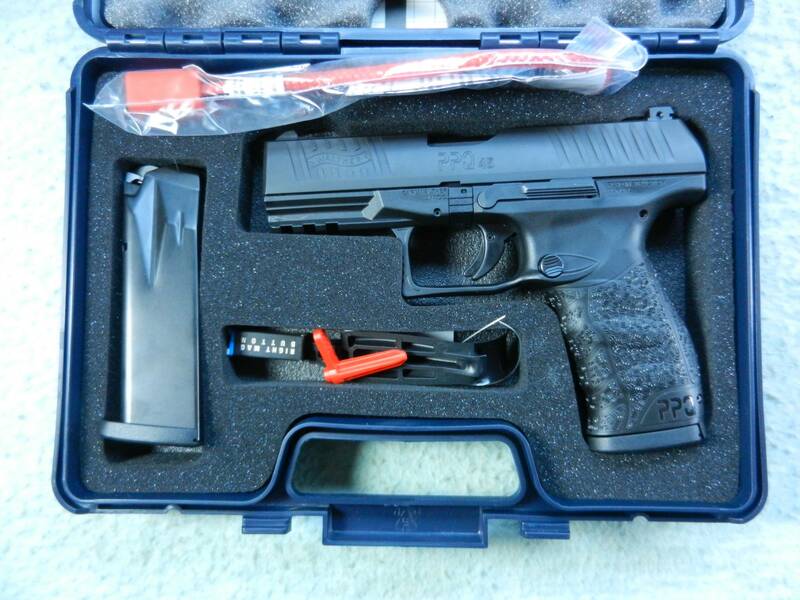 When Walther-USA took over importation dueties in 2013, it released the PPQ-M2. The M2 is the same firearm, except the magazine release has been changed. The paddle lever was replaced with a traditional Browning button style. The button is oversized and can be swapped to either side to accommodate either hand. The M2 is offered with either a 4.0" or 5.0" long barrel, and the PPQ-M2 SD has a 4.6" long 1/2x28" threaded barrel as well. The pistol is available in 9mm, .40 S&W, and .22 LR. In 2015, a scaled up version capable of handling .45 ACP joined the lineup. This pistol is notable as it is the first .45 caliber handgun in Walther's company history. It has a 4.3" barrel and larger/heavier slide. It uses polygonal rifling rather than traditional lans and grooves. Its magazines hold 12 rounds. 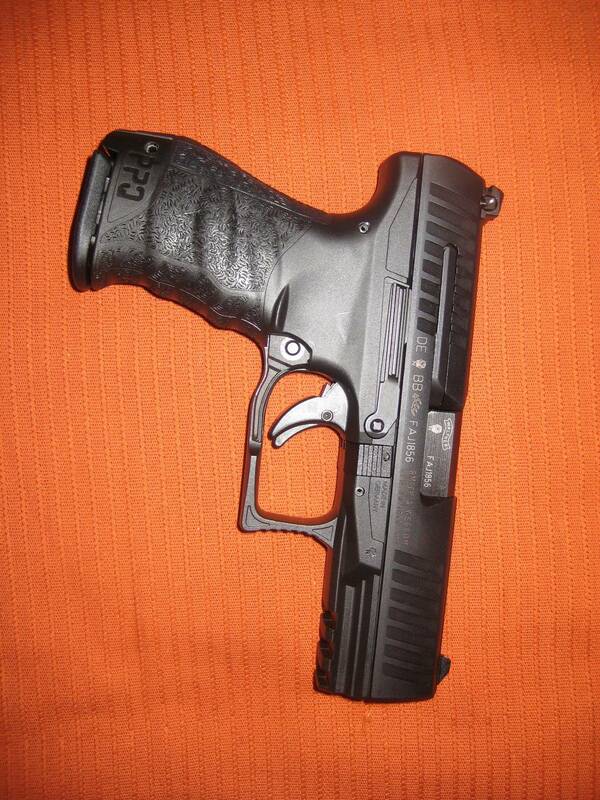 Walther is continuing to expand the PPQ product line, so hopefully we'll keep seeing new variants as time goes on. And again if you prefer the original, it is in Walther's catalogue as the PPQ Classic (sometimes referred to as the PPQ-M1). 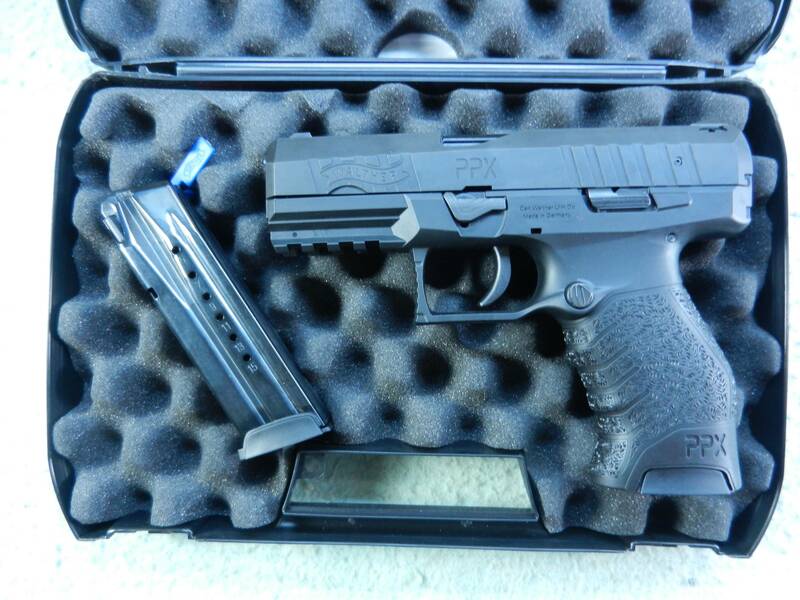 Along with the PPQ-M2, when Walther-USA took over in 2013; it released the PPX-M1. 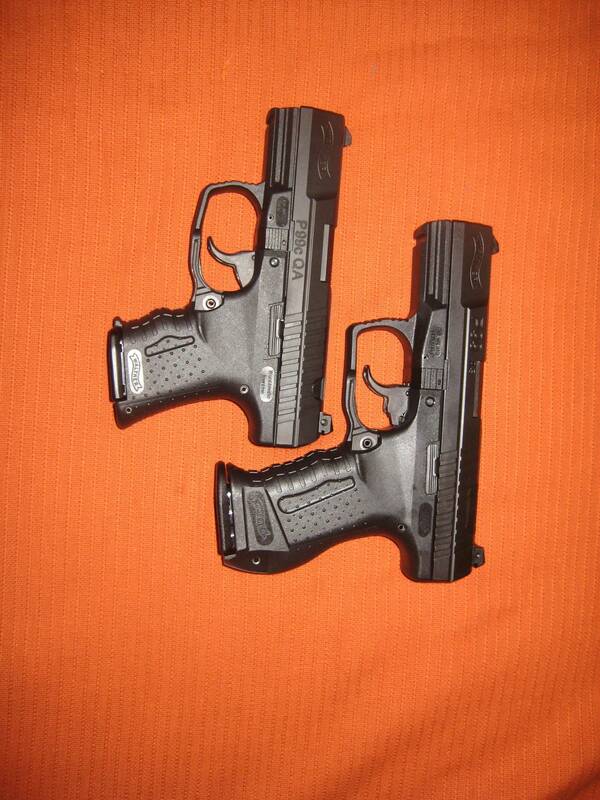 The PPX is based on the P99 and PPQ, but is Walther's entry level or economy firearm. Rather than being striker fired, it uses a bobbed hammer which works in double action. That said, it still manages to have a 6.5 lb trigger with a very smooth pull. 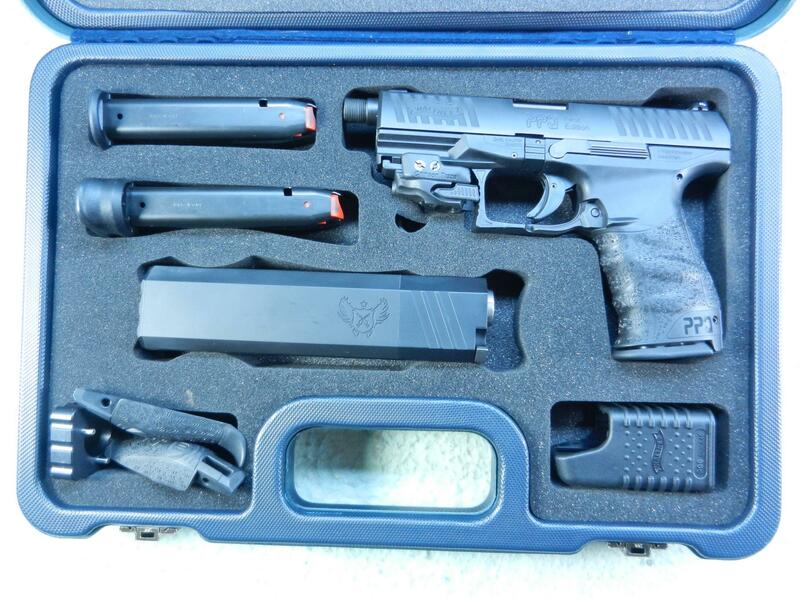 The frame is polymer with a fixed backstrap, PPQ style ergonomic grip, reversible magazine catch, and full length accessory rail under the barrel. The slide is blocky but does have front and rear serrations. Interestingly, all of the small parts such as the trigger, mag catch, takedown latch, and sights are made of metal; not polymer. 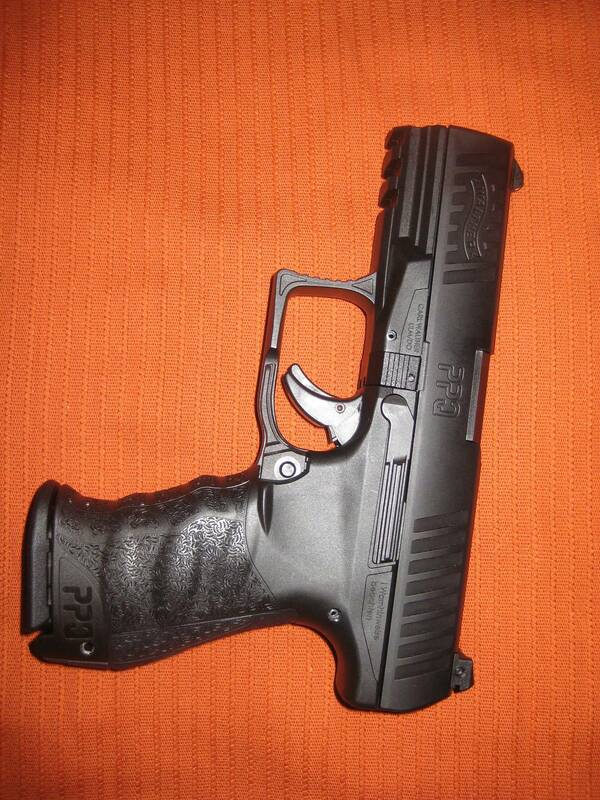 Like the P99 and PPQ, the PPX has a 4.0" long barrel and standard sized grip. It weighs just shy of 24 oz, so a bit heavier than the P99 and PPQ. 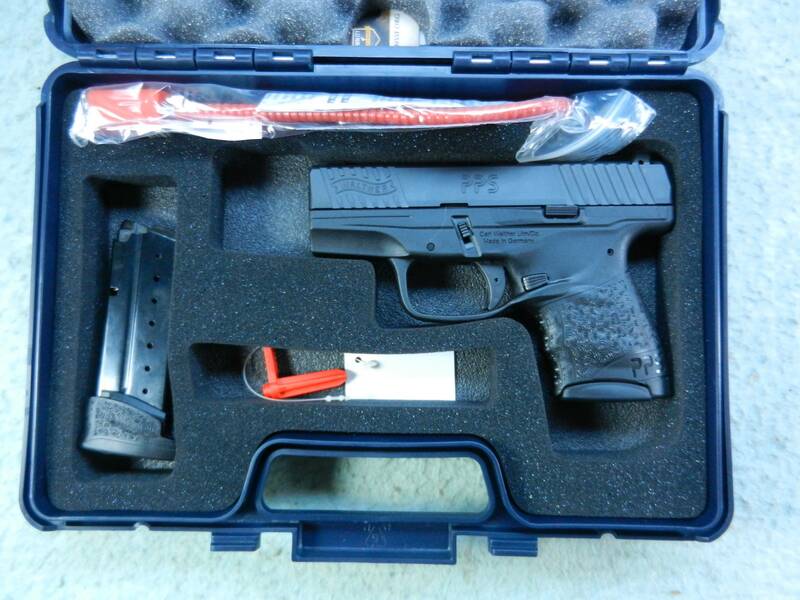 It is available in 9mm with a 16 round magazine, and now in .40 S&W with a 14 rounder. 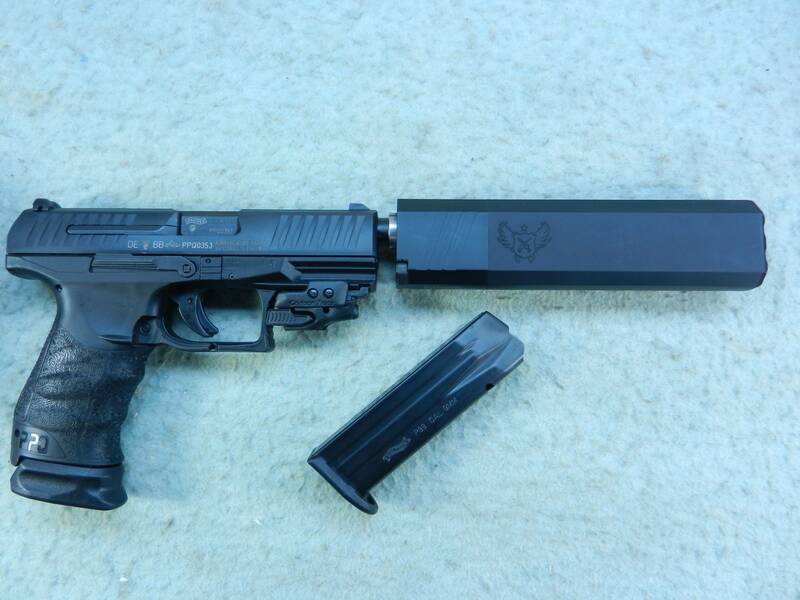 The PPX SD variant has a 4.6" 1/2x28" threaded barrel for attaching a suppressor. The pistol's biggest feature really is its price tag. The standard version comes to market at around $300 new, with the SD coming in at $350. 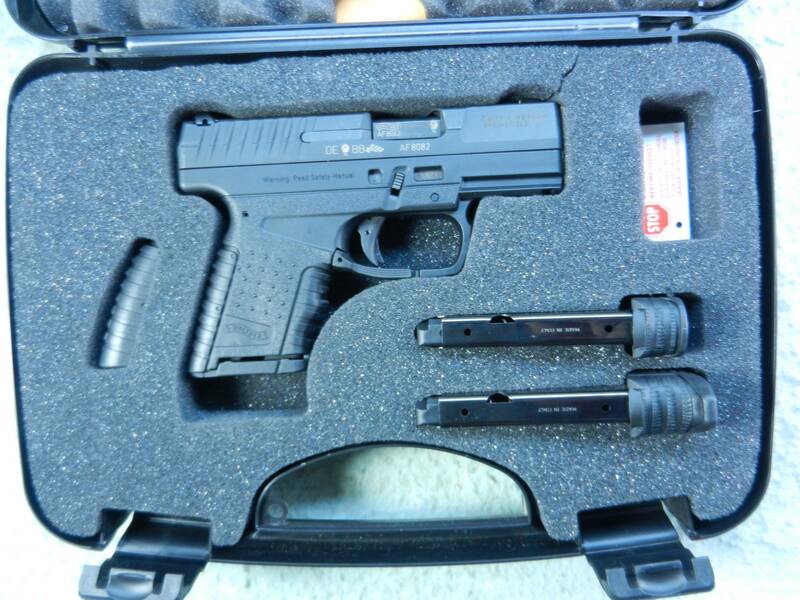 It ships with 2 high capacity magazines and in a hard case. So they didn't skimp too badly there either. The PPX is made in Germany at Ulm, so it isn't a licensed out gun or anything. What Walther did to save on manufacturing was to make many of the metal parts from investment castings. Some others are from stampings. The barrel is made from two pieces, which is both cheaper and faster to produce, while still delivering a safe and accurate end-product. 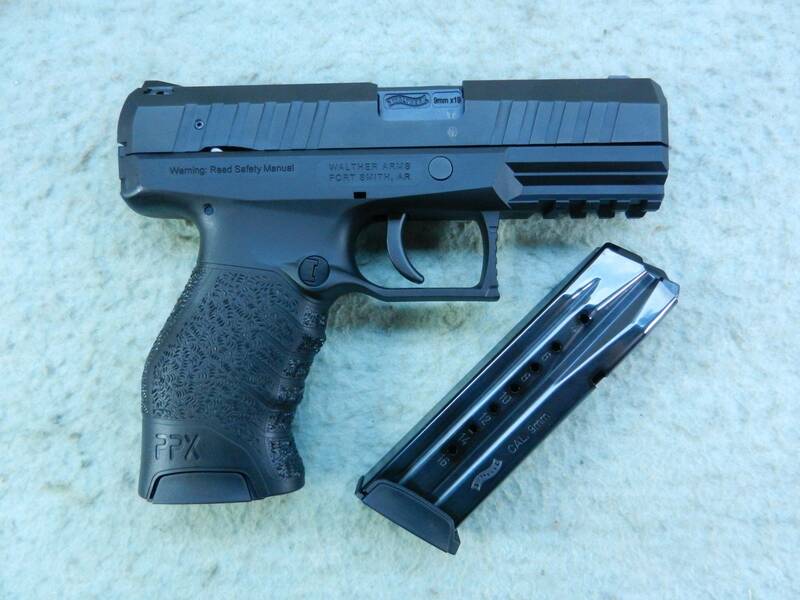 The hammer firing system is also less expensive to assemble than the PPQ's striker setup. It is still perfectly reliable though. Walther made sacrifices with the PPX, but nothing that would compromise the firearm's reliability or effectiveness. For what you pay, you are still getting a true German built handgun from a company that has been in the business for over a hundred years. It is reliable, and surprisingly accurate and comfortable too. It doesn't have much to recommend it in the looks department, however handle one before passing final judgment. It has a very good feel, and is smooth and well balanced. 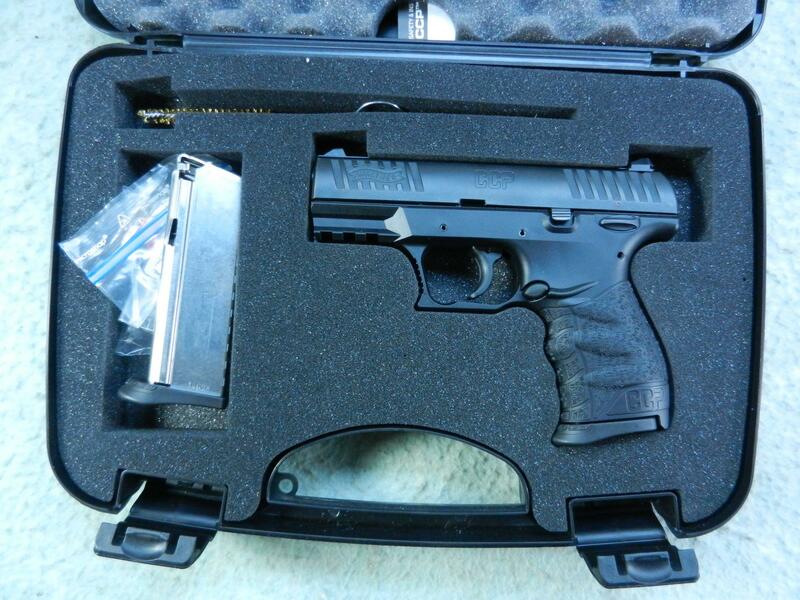 In late 2014, the Concealed Carry Pistol or CCP began shipping. 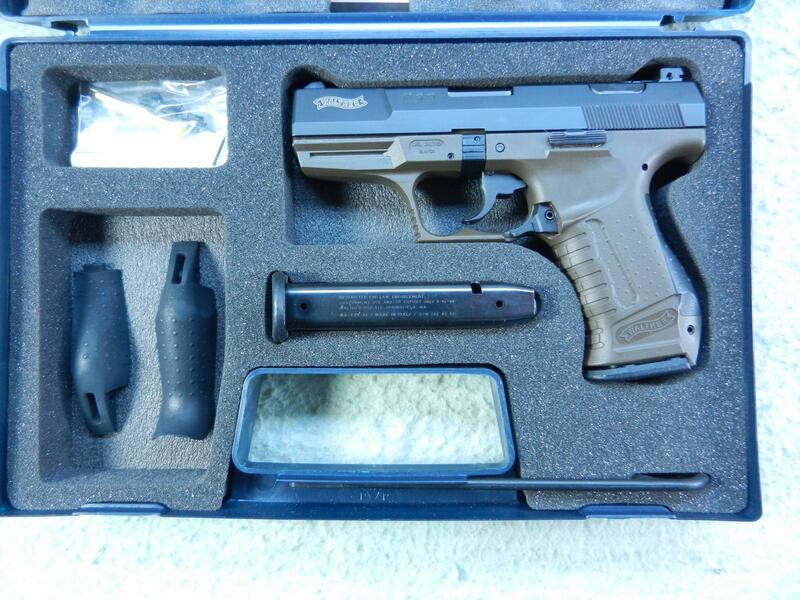 This is an interesting handgun, which is a major departure from the P99/PPS platform. Thus far, only one variation is available. It has a 3.5" barrel, measures 6.4" long, is 5.0" tall, and weighs 21 oz. It is chambered for the 9mm cartridge and has an 8 round magazine. There is a Picatinny rail under the barrel for attaching devices; and a low-profile 1911 style thumb safety on the left side of the frame. The magazine release is Browning style and reversible. The trigger pull is reasonably light at 5.5 lbs and works in single action only. It has a longer pull, which is intended to make it safer for daily carry. The CCP is small but not tiny. It is somewhere between the PPQ and PPS in terms of size (or Glock G19 and G43 if you prefer). It is a compromise between size, and ergonomics/comfort of firing. Unlike previous polymer framed Walthers, the CCP has a fixed barrel. To operate, a gas port vents under the barrel and acts upon a short piston. 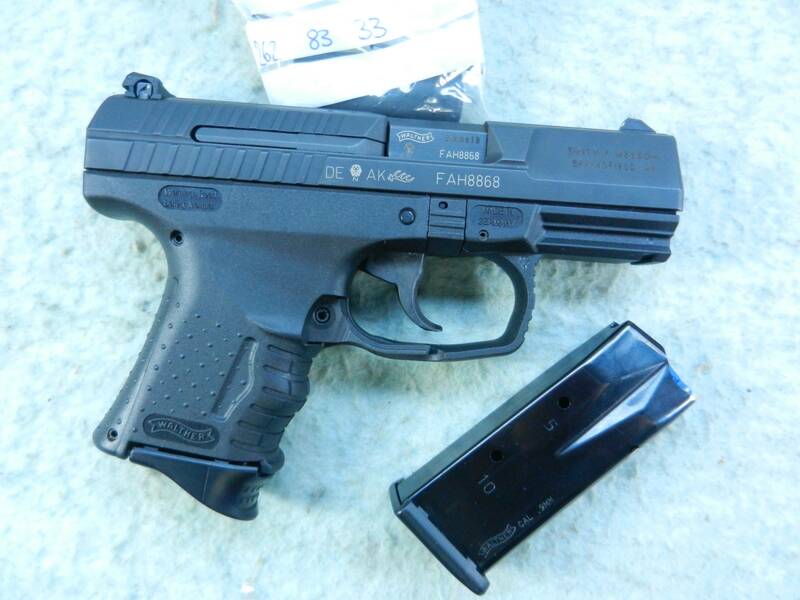 Basically, this is the same system that HK used in its P7 handgun. Walther calls it "Softcoil." This configuration has several benefits. First, since the barrel does not move or shift, it is capable of greater accuracy compared to other compact firearms. Second, the gas piston delayed blowback uses more of the energy from firing, resulting in less felt recoil for the shooter. Third, the return spring for the slide is able to be lighter, thus letting it be easier to retract to chamber a round. This is good for those with smaller/weaker hands, and for that matter just more comfortable for anyone. New to the market, the CCP is still earning its reputation. So far, it seems to be accurate, reliable, and comfortable to fire. As with any Walther, it is well built; made from quality materials.